In celebration of World Smile Day in 2018 we pledged to donate £50 to Operation Smile for each Dermapen micro-needling treatment we carried out in October and November. Operation Smile is a fabulous local Wimbledon charity which provides thousands of safe surgeries each year for those born with cleft lip, cleft palate or other facial deformities in developing countries. “Feeling confident about your appearance makes everyone feel more positive,” explains Lorraine. “I know because my working life is spent helping people to improve their self-confidence through their appearance. So it really struck a chord when I learnt about the vital impact Wimbledon-based charity, Operation Smile, makes to people’s appearance and thus their lives. “Talking to my team it was clear we all felt passionate about fundraising and our clients supported us brilliantly throughout. I’m thrilled to say we smashed our target raising enough money to fund 7 smile operations, so a huge personal thank you to everyone involved. Meet Faustina who lives in Ghana, a country with a deeply rooted stigma towards cleft lips. When Faustina was born, doctors told her Father that surgery could fix her lip. However, the procedure couldn’t be performed at their district hospital, and it would be too expensive for him to afford. When she saw her reflection for the first time after surgery, her eyes were filled with tears of joy when she gazed at her face in the mirror. 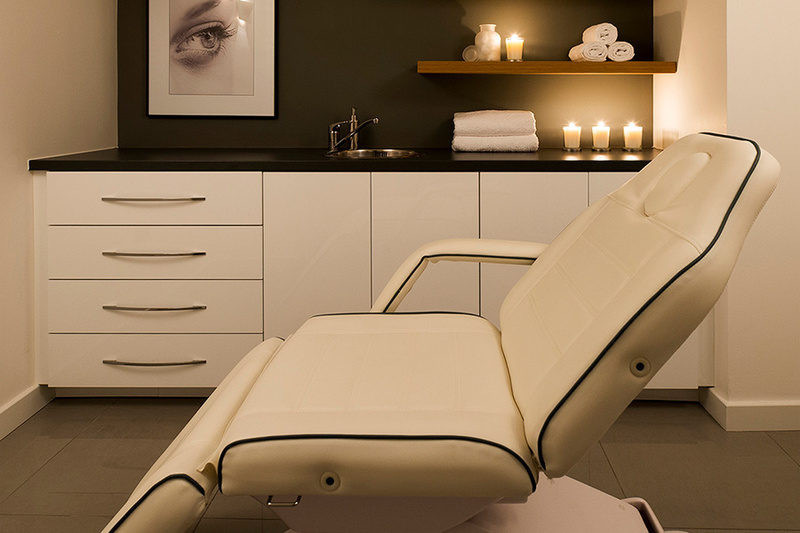 “I’ve been a client of Eden Skin Clinic for some 2 years and have a range of skin treatments with them. “My visits are always magical, the staff are so helpful and the welcome warm. 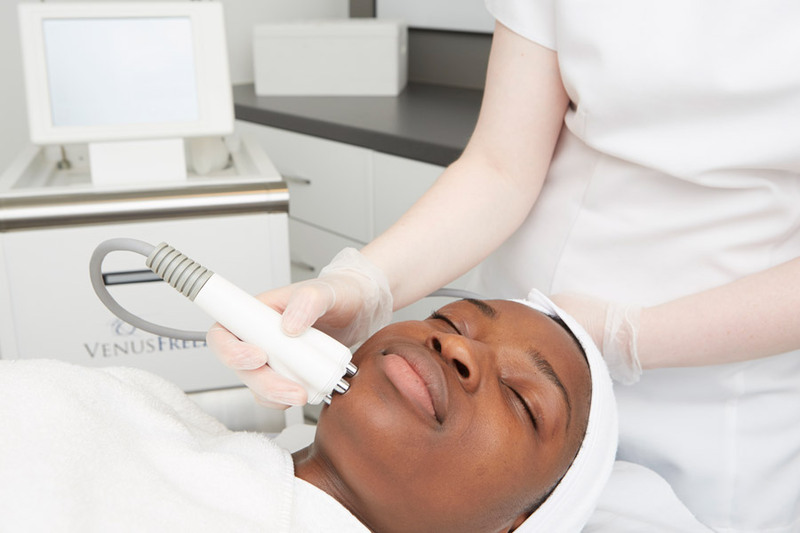 I always look forward to my Dermapen micro-needling appointments which leave me feeling ‘wowtastic’ without feeling plastic! The treatments have tightened my skin, reduced my acne and pigmentations, and left my skin looking clear, radiant and smooth. 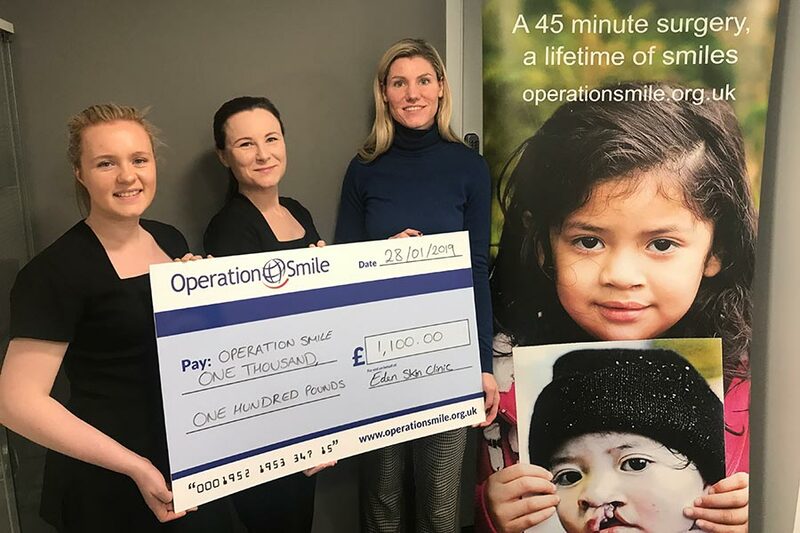 “So I loved it when Lorraine and her team supported Operation Smile with her Dermapen treatments – what an awesome cause – helping children build their self-confidence and feel-good factor by restoring their super sunshine smile. We’re thrilled to be shortlisted for the Hair & Beauty Community Awards run by the National Beauty Federation for our Operation Smile. Finalists are invited to a reception on 1 May 2019 at the Houses of Parliament with Ministers and MPs where the winners will be revealed.